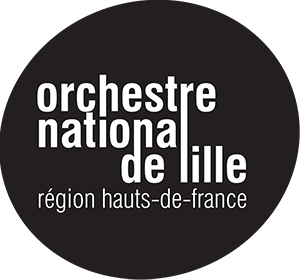 Created with the support of the Nord-Pas de Calais Region, with the maestro Jean-Claude Casadesus and with the support of the State, The Orchestre National de Lille gave its first concert in January 1976. Since then, thanks to the ambitious artistic projects developed by its founder, it established itself as a leading French orchestra, open to a wide range of audiences, with the desire to “bring music wherever it may be received”. Each year, the Orchestra performs in its concert hall Le Nouveau Siècle in Lille (renovated and inaugurated in 2013), and in a lot of cities in the region, in France and abroad (more than 30 countries visited on four continents). The Orchestra is equipped with a digital Hi-Tech recording studio (one of the only two orchestras in the world to have one). Recording is an important part of the Orchestra’s activity in collaboration with prestigious labels (DGG, Warnerclassics, Naxos …). In 2017, several releases are planned between March and November: the first recordings of the trumpet player Lucienne Renaudin-Vary and the cellist Camille Thomas, with conductors such as Jean-Claude Casadesus, Alexandre Bloch, Darrell Ang, Jun Märkl and Roberto Rizzi-Brignoli. From the 1st of September 2016, Alexandre Bloch is the new music director of the Orchestra.